Before talking about the new iPad he gave some interesting numbers about the three apple stores: Book Store (or iBooks), the App Store and the Music Store. The updates were the following: 100 Million books were downloaded in less than a year and there are now more than 200 Million apple accounts (we should state that only one account is necessary to access the three stores). Right after that, he stated that they sold more than a 100 Million iPhones till now ! Here is where the interesting part starts: First, Jobs qualifies the iPad as being the third post-PC blockbuster product, considering the iPod as being the first and the iPhone as being the second one. Concerning the iPad 1, Apple sold 15 million units in a 9 months period going from April 2010 to December 2010 which represents $9.5 billion in 2010 or more than 90% of the market share. Looking at this number we conclude that Apple did way more better than their competitors in terms of sales of tablet PCs. Second, in terms of apps, there are 65,000 apps available specifically for the iPad: “Fantastic games, a lot of apps for business and vertical markets. The things people are doing here are amazing. They’re taking advantage of this incredible, magical UI.”. They then screened a video entitled “2010: Year of the iPad” that shows all the possible uses of iPad going from business mans, doctors and autistic children to teens, students and arts lovers. And here comes the iPad 2 presentation. “What is iPad 2? What have we learned? It is an all new design. It’s a completely new design. And it’s dramatically faster. We have a new chip we call A5.” says Jobs. I don’t want to go a lot in technical details of this chip so to make it quick: It is 9 times faster graphics and 2 times faster CPU. 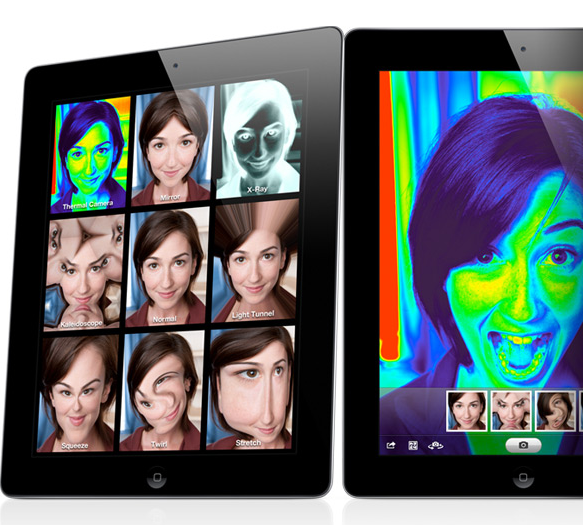 One of the other main new characteristic of the iPad 2 is, both, the front and rear cameras that you could use to take snapshots, make FaceTime conversations or even have fun on PhotoBooth. In ergonomic terms, this new version is 33% thinner than the first version passing from 13.4mm for the iPad 1 to 8.8mm for the iPad 2. It is even thinner than the iPhone 4 (9.3mm). Thinner but also lighter, it is 0.2 pounds lighter than the original version. The iPad 2 will be available in two colors: Black and White. Don’t worry, even with all those improvements and supplements they managed to keep the same battery life as the one of the first version which means up to 10 hours of activity and nearly a month of standby. They didn’t only preserved the battery life, they did also preserve the price: For the WiFi version – $499/16GB, $599/32GB and $699/64GB. For the WiFi+3G version – $629/16GB, $729/32GB and $829/64GB (Those are the prices in the United States). Those were the main characteristics of the iPad 2. Now, let’s talk about 3 very important extras: The HDMI Output, the intelligent case and the apple applications. You can buy, for $39, an HDMI output cable giving you the ability to link the iPad to any external screen with a very high resolution (1080p). Apple also develop an intelligent magnetic case: It is not only a cover, but it wakes the tablet when you open it and puts it to sleep once closed. The poly case costs $39 and the leather one costs $69. This new iPad will operate under a new operating system called iOS 4.3 which will increase the tablet performance allowing you to use application like FaceTime, PhotoBooth, GarageBand and iMovie as if you were operating them on a PC. 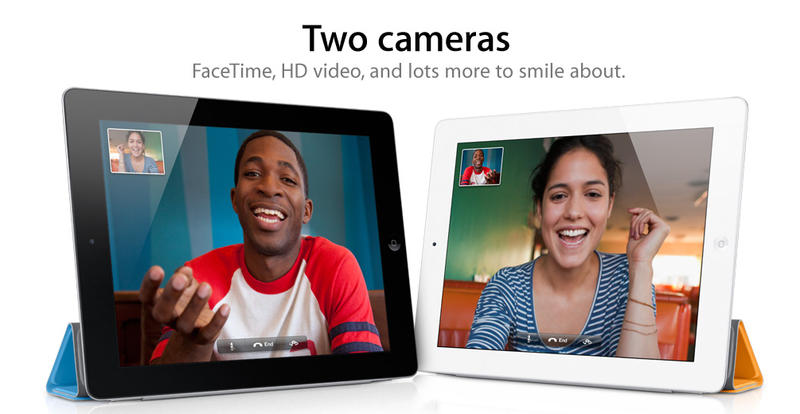 FaceTime and PhotoBooth are built-in applications and iMovie and GarageBand are available for a $4.99 fee each. 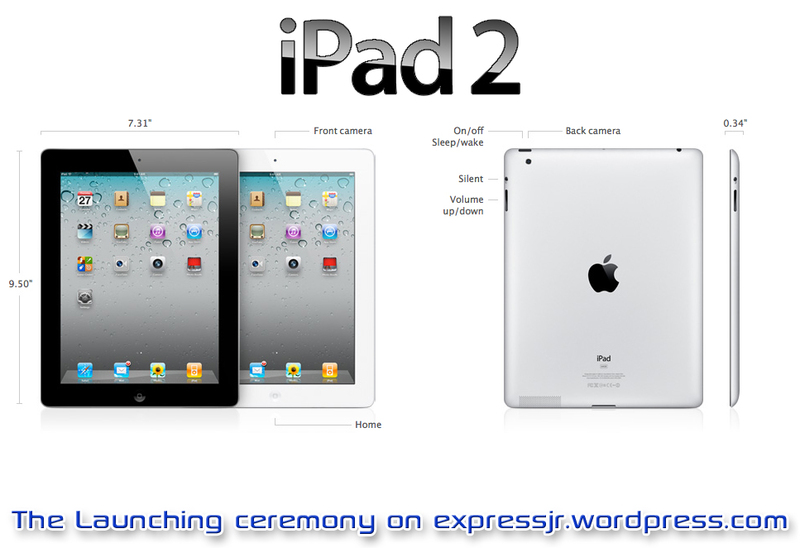 So this is mainly what happened at the launching ceremony of the iPad 2. Being an Apple fan, I really liked those improvements and consider this version as an improved iPad 1 not a “new” iPad. In addition, I am really impressed by the very fast development of those kind of technologies that are making our lives, or at least mine, much easier. In my opinion, iPad 2 is boring and the iPad 3 is what we have to be excited about. “Come see what 2011 will be the year of…” could be Apple’s coy way of saying we’ll see more than one iPad this year. I agree with your opinion, as I said in the last paragraph of my article, I consider the iPad 2 as an improved iPad 1 and not a new iPad. Now the question is: is this a smart move with all the competition rising in the tablet PCs domain ? Was Apple able to do more than that ?